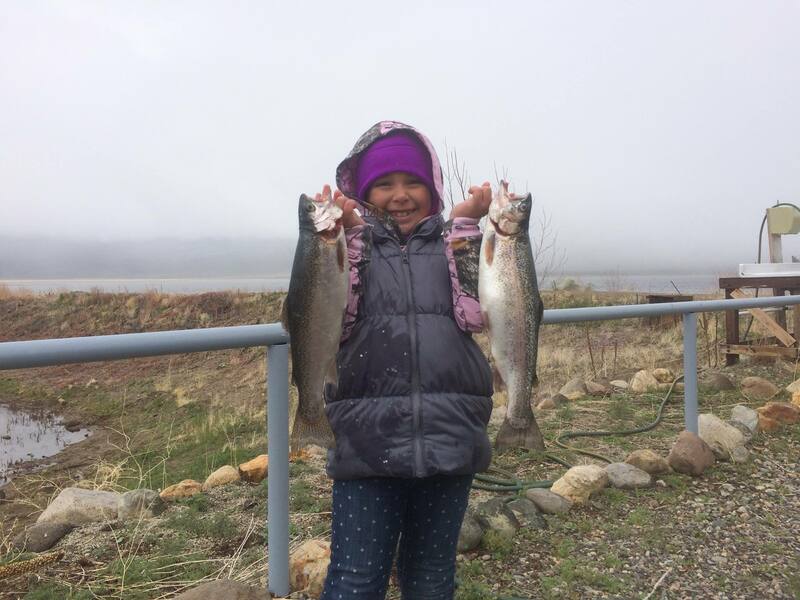 Fishing returned to the Eastern Sierra communities on April 30 as the 2016 season opener brought anglers from all over California. A report published on May 6 on sierradrifter.com, a website keeping anglers updated of fishing activity throughout the Sierras, stated the action was good at a few major lakes but fair to slow elsewhere. Water conditions were good, for example, at Crowley Lake, Upper Owens River and McGee Creek. Fishing was fair to good at Bridgeport Reservoir, according to the website. “Boat launch by dam is operative; marina is renting boats outside break wall. Gorge remains a haven from the crowds, fishing well in the more remote sections,” the sierradrifter.com report stated about Bridgeport Reservoir. 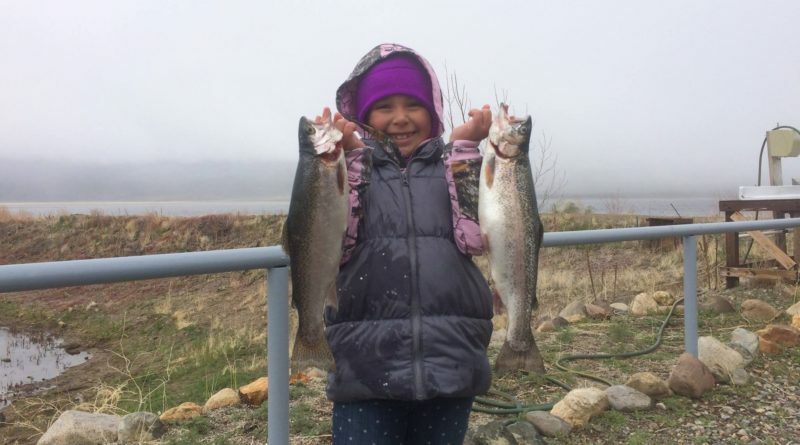 It was at Bridgeport where the young lady pictured reeled in not one but two trout. Weather conditions changed quickly, though, as snow descended upon the reservoir. Some venues are expected to be open for fishing in time for Memorial Day, assuming the weather cooperates.